The Part-Time MBA at the Institute of Business and Technology College Dublin is a powerful business degree for graduates and experienced professionals seeking to transform their professional and personal prospects in business. Candidates will participate live projects, team-oriented learning and gain access to opportunities to collaborate and network with actual companies. At IBAT, the Part-Time MBA program is based on the highest standards of practical business education. Being grounded in real-life business and organized according to the skills that make successful business professionals, candidates of the Part-Time MBA is a powerful and internationally-recognized business degree. Developed in collaboration with IBAT's industry partners, the Part-Time MBA curriculum is a careful combination of management theory and practical, hands-on learning activities. In combination with case studies, live projects, internship opportunities, candidates will develop a firm understanding of human resources, financial analysis, strategic marketing, leadership and ethics in business. Graduates will be awarded a Master of Business Administration from the Institute of Business and Technology College Dublin. Institute of Business and Technology College Dublin is accredited by University of Wales Trinity Sain David. The IBAT College Dublin Part-Time MBA is made up of six core learning modules and a final research project. Together, these parts result in a holistic understanding of business practices as we know them as well as the opportunity to put theoretical knowledge into practice. 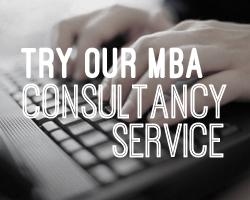 Ths IBAT Part-Time MBA is comprised of seven core parts. Each is designed to provide candidates with a unique perspective on the various segments of business operations as well as the relevant skill set. The Financial Management module details the financial techniques and processes which are appliable to business management and strategy. The Contemporary Logistics Management module will provide a full perspective on contemporary theories, concepts and best practice in logistics, supply chain management, strategy and operations. Students will engage with material to critically assess the processes and principles of Total Quality Management and Just-In-Time. Candidates will gain an understanding of Strategic Management within the contexts of business today. Candidates will explore and assess current thinking and identify key factors of success. During this module, candidates will learn the principles, best practice and thinking behind Marketing Management. Within the context of continuous evolution and improvement, candidates will also explore the various marketing channels and strategies available. Th Human Resources Management module allows candidates to develop a critical understanding of HRM in the dynamic and global contexts. First from the perspectives of supporting line managers and then from the viewpoint of sustainable organisational performance, candidates will gain a complete perspective on HR policies and their implementation. Today, business operates in an entirely international context. During this module, students will gain an understanding of the global marketplace and its different systems within the contexts of cultures, localized markets and business theory. Students will learn by doing as they engage with and analyze various models of engagement with international markets. The Part-Time MBA will come to a close with a final dissertation project. In completing the project, candidates will have the opportunity to put new skills into practice as they plan, organize and carry out a research project. Projects should include both academic and practical perspectives in the analysis of a research problem. The fees for the IBAT College Dublin Part-Time MBA are €4,000 per year - a total of €8,000. Irish income tax payers are eligible for a tax relief at the standard rate of 20% on all fees exceeding €1,000 and up to €7,000. Fill out your details to find out more about IBAT Part-Time MBA.